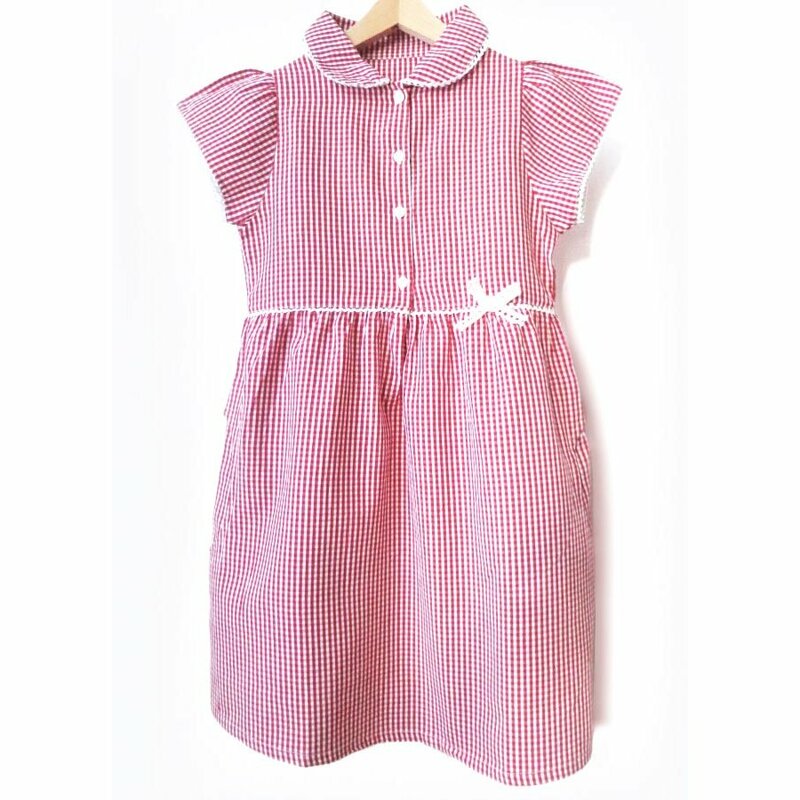 Constructed from 100% pure organic cotton, this sweet red gingham school dress is a perfect lightweight option for summer school uniforms. It is attractively designed with many attractive features including a stylish bow, gathered detailing and a lace trim. 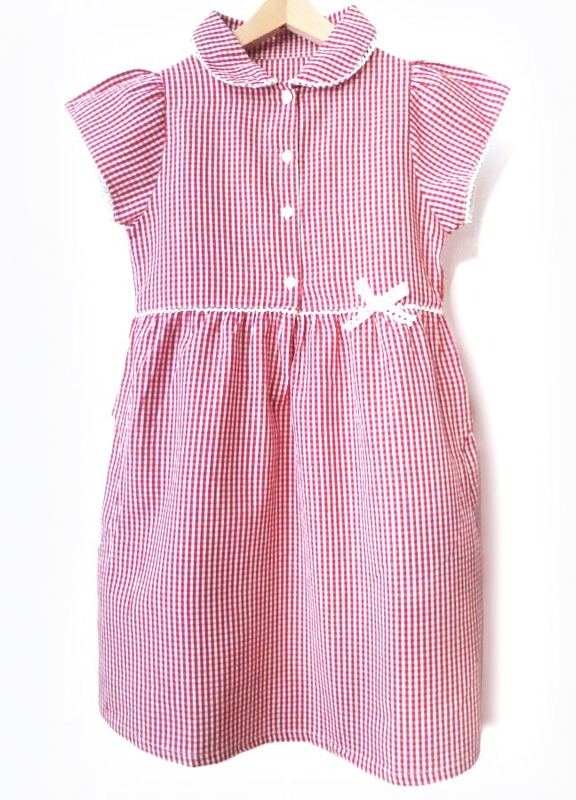 It is a regular fit knee length dress with short sleeves and also has 2 side pockets and a button fastening. For best results, wash garments inside out.